Reel Game Call’s “Hardwood” is a one of a kind elk call. 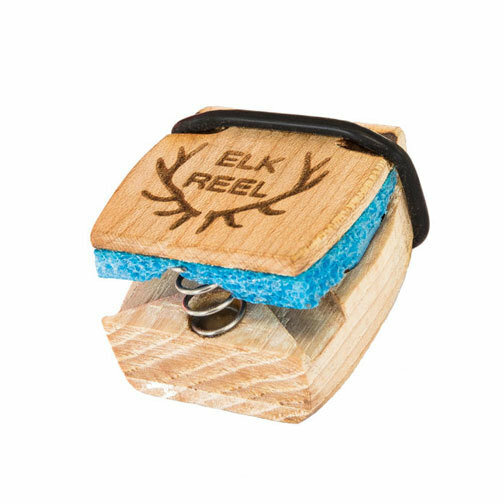 The Hardwood can be your go to elk call because they are structurally sound and easily create realistic elk vocalizations due to their acoustic qualities. The Hardwood is made from: Oak, Maple, Walnut, Hickory and White Ash. If you’re used to external reed calls with a mylar reed that has a high start up velocity or mouth reeds that take lots of practice and skill to operate, you’ll be astonished by how simple it is to get realistic sounds from our calls. Simply squeeze, blow and release to get excellent results! So easy a beginner can use Reel Game Calls with minimal practice. Our calls produce repeatable acoustic results that don’t falter due to variables. The sound the calls create is not affected by adrenaline or moisture. Reel Game Calls sound the same no matter how fast your heart is beating and it doesn’t matter if “bull fever” has caused your mouth to have gone dry. Dropping your call in a puddle won’t be a problem either, just shake the water off and Reel Em In. Nothing will stop you from making the perfect vocalization at the moment it’s needed. 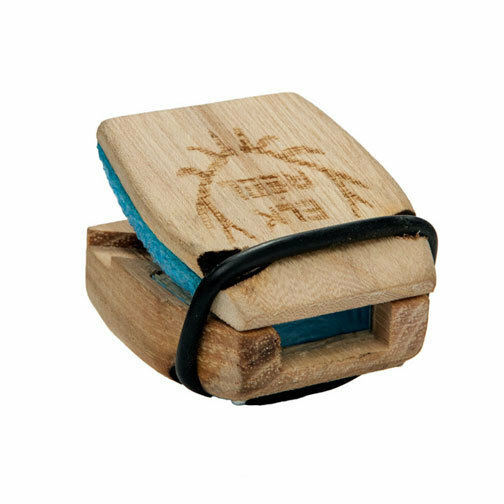 Reel Game Calls are played by either squeezing them with your fingers or placing them in your mouth and biting down, then blowing into them. Our calls can also be used hands free to facilitate stopping an animal in a shooting lane or entice one to come those last few feet for an ethical shot. The unique hinging action and 3-dimensional reed allows our calls to produce sounds at every angle, from open to close, which allows the operator to change the size of the vibrating reed. This allows the calls to produce multiple pitch variations, and the low start up velocity of our 3-dimension reed allows one to make the same consistent pitch vocalizations from a whisper to a scream. Making an animal think you’re farther away will keep them coming in and allow ethical shot opportunities. Our calls were developed in the most heavily pressured situations we could find. If they will work for us there, they will work for you anywhere! We started from scratch and didn’t listen to people calling elk with elk calls or turkey calls for turkeys etc, etc…, we listened to real animals and strive to produce calls that sound exactly like the real thing. Sounds so Real, it’s Reel. It’s not just a tagline, it’s the truth.